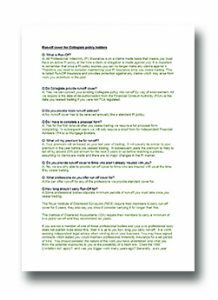 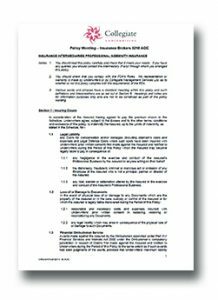 All insurance brokers and intermediaries carrying out a regulated activity in relation to contracts of insurance are required to be authorised by the Financial Conduct Authority (FCA). 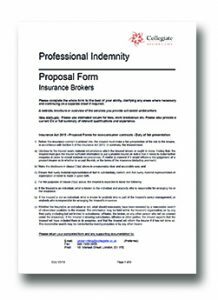 Part of the requirement is that these firms must carry professional indemnity (PI) insurance in accordance with the Insurance Mediation Directive (IMD). 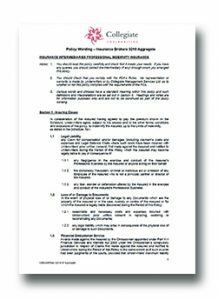 The directive states that your policy must have a Limit of Indemnity no less that the sterling equivalent of €1,250,000 available for each claim and, as long as your firm’s relevant income in the last full financial year did not exceed £6,000,000, an overall aggregate limit of Indemnity of no less than €1,850,000 which is not to be eroded by costs and expenses, based on the exchange rate at the inception/acceptance of your policy.